chances are you know about Action Park in Vernon, New Jersey. This place was notorious for their insane rides and lack of care for the safety of their patrons. Yes this is a real slide, yes people used it, yes people got really hurt. But that wasn't the only thing that made action park dangerous. Their wave pool was notorious for how dangerous it was. Several deaths happened and on the first day it opened, 100 people had to be rescued that day. The numbers were as high as 30 saves per lifeguard per day. The cliff dive was also notorious but for a different reason. The water was so cold that divers had to be rescued because of the pure shock of the water. 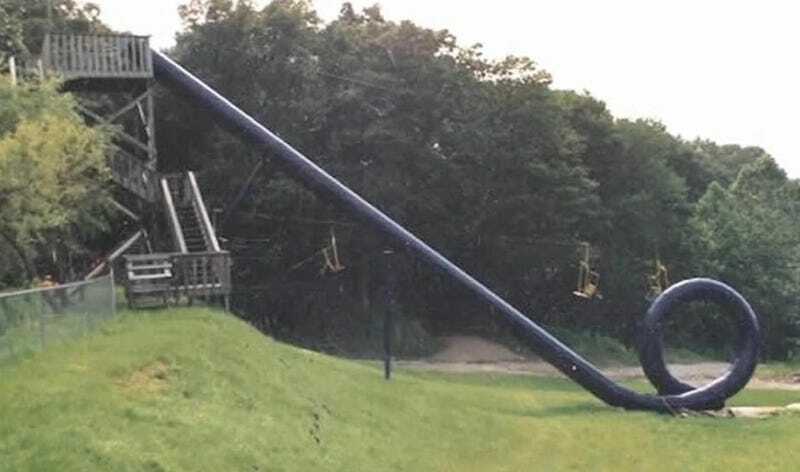 911 calls were so frequent at Action Park (estimated 5-10 per day) that the owner of the park bought additional ambulances for the township of Vernon, NJ. 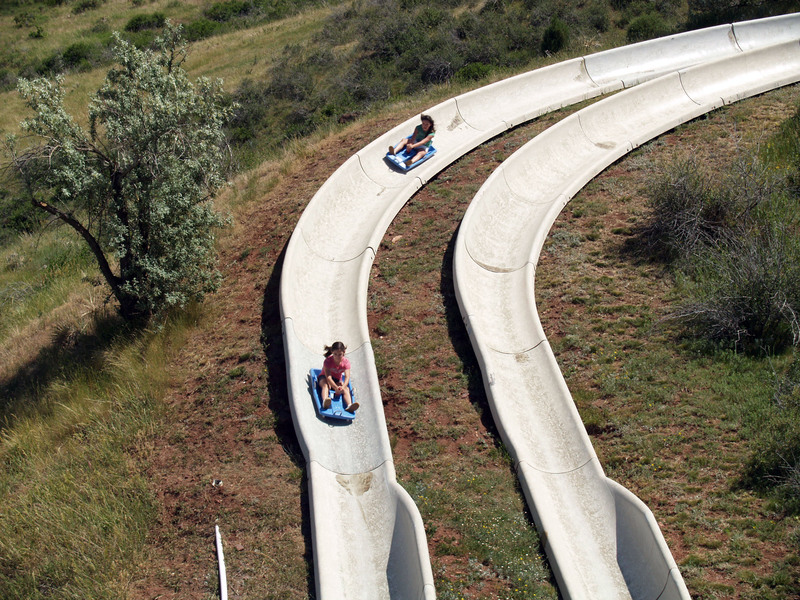 And now for the most infamous ride, the Alpine Slide. The slide was a cart ride on a track built out of fiber glass. People would roll down on shoddy carts with no pads or helmets and use a crappy handbrake as their only way to slow down or stop. Riders would often scrape, burn, or flat out break their limbs from riding this ride. In fact the first death that happened in the park happened on the Alpine Slide from someone falling off and hitting their head on a rock. Here's a great short documentary on Action Park which includes even more absurd rides that I didn't even mention!